You don’t want to miss this ACADEMY AWARD WINNING FILM (Best Animated Feature)! 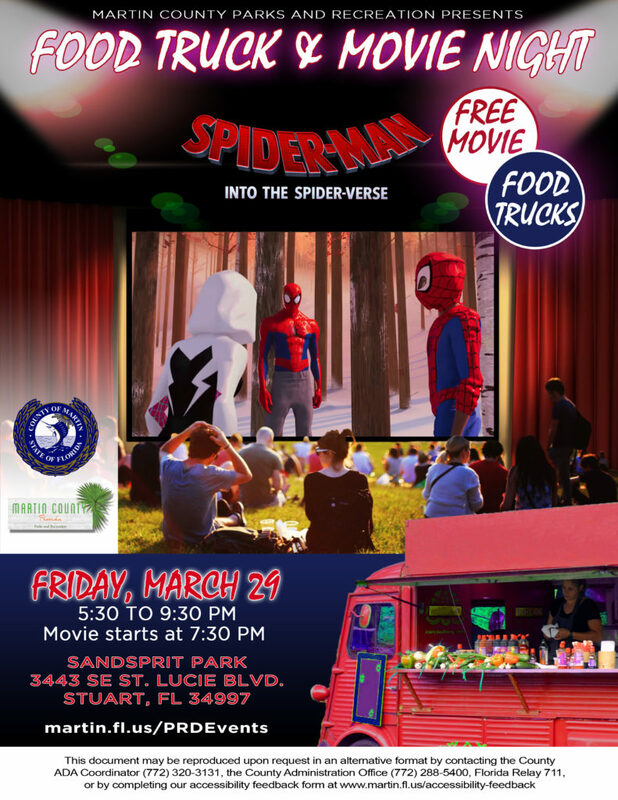 Join us on Friday, March 29, from 5:30 to 9:30 PM at Sandsprit Park, and enjoy 2 hours under the stars watching Spider Man: Into the Spider-Verse on a 20 ft. tall screen!!! There is no charge to watch the film. Bring your blankets, chairs, insect spray, family and friends to enjoy a night at the movies together. Food trucks will be on-site to satisfy your cravings. Movie starts at 7:30 PM. 3443 SE St Lucie Blvd.